With the blessing of His Eminence Metropolitan Antony, Archbishop Daniel presided over the Liturgy of Presanctified Gifts. Over 100 people attended the service and dozens of faithful of the Church participated in the Holy Mysteries of Repentance and Eucharist. The student choir of St. Sophia Ukrainian Orthodox Theological Seminary of the UOC of the USA chanted responses to the petitions of the Liturgy. Following the conclusion of the service, Archbishop Daniel introduced the forth year seminarian of St. Sophia Seminary – subdeacon Ihor Protsak, who delivered a reflection on the spiritual fights with temptations and passions. About twenty clergy concelebrated with His Eminence Archbishop Daniel: Very Rev. Fr. Todor Mazur (pastor of Holy Trinity Ukrainian Orthodox Cathedral in New York, NY), Very Rev. Fr. Volodymyr Muzychka (pastor of St. Volodymyr Ukrainian Orthodox Cathedral in New York, NY), Very Rev. Fr. Petro Levko (pastor of St. George Ukrainian Orthodox parish in Yardville, NJ), Very Rev. Fr. Vitaliy Pavlykivskiy (pastor of All Saints Ukrainian Orthodox parish in New York, NY), Very Rev. Fr. Victor Wronsky (pastor of Sts Peter and Paul Ukrainian parish in West Islip, NY), Very Rev. Fr. Ioan Proteasa (pastor of Saint Andrei Ukrainian Orthodox parish in New York, NY), Very Rev. Fr. Myroslav Schirta (pastor of St. Sophia Ukrainian Orthodox parish in Bayonne, NJ), Very Rev. Fr. Orest Poukhalskii (pastor of Sts Peter and Paul Ukrainian Orthodox parish in Glen Spey, NY), Rev. Fr. Vasyl Pasakas (pastor of the Nativity of the Birth-Giver of God Ukrainian Orthodox parish in South Plainfield, NJ), Rev. Fr. Vasyl Shak (pastor of St. Panteleimon Ukrainian Orthodox parish in Brooklyn, NY), Rev. Fr. 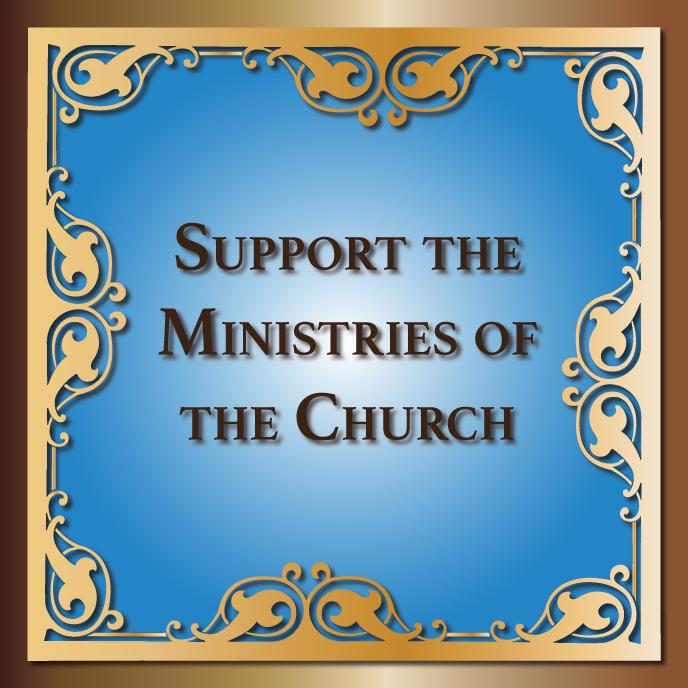 James Cairns (pastor of St. Demetrius Ukrainian Orthodox Cathedral, Carteret, NJ), Very Rev. Fr. Mykola Filyk, Rev. Fr. Ihor Melnyk, Deacon Adrian Mazur (Holy Trinity Ukrainian Orthodox Cathedral, New York, NY), Deacon Sviatoslav Hot (Three Holy Hierarchs Chapel of St. Sophia Ukrainian Orthodox Theological Seminary, South Bound Brook, NJ), Deacon Richard Jendras (St. Demetrius Ukrainian Orthodox Cathedral, Carteret, NJ) and Deacon Valentyn Oliynyk (St. Andrew Ukrainian Orthodox Memorial Church, South Bound Brook, NJ). In his remarks following the liturgical service, Archbishop Daniel reflected upon the spiritual journey of Great Lent and the social and moral challenges of the our society that threaten the very notion of the sacredness of human life, as it has been recently shown by the decisions of the New York State legislature and the decisions about the termination of life for the unborn children. The Archbishop spoke of the significance to support the Christian and especially Pan-Orthodox Pro-Life organizations that challenge the modern day culture of disregard for human life. Vladyka Daniel reflected upon the ministry of Zoe for Life, pan-Orthodox organization that helps mothers to care for their unborn children and often assist them in saving innocent lives by providing opportunities for adoptions, etc. Following the service everyone in attendance enjoyed a Lenten dinner prepared the cathedral’s sisterhood. The children of the parochial school prepared a short Lenten reflection program, teaching everyone in attendance about the creation of the world.